A whole different type of vintage that Nike is releasing is the Nike Cortez Multi Multi pack. besides the classic Cortez release, they also come in a kind of “old meets new” style. I had these new Cortez “Flywire” in my hands, and Nike did a good job on these… very light weight, very comfortable, and extremely good looking. PS. 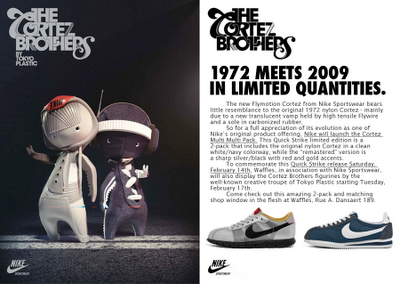 did you know Nike never interrupted the production of Nike shoe since 1972?